Police and FBI agents searched a Hudson Valley, New York, home Wednesday and arrested the 56-year-old man living there after learning about his alleged plan to build a bomb and blow himself up in Washington, D.C., on Election Day, two law enforcement officials told News 4 New York. Court documents say Paul Rosenfeld wanted to draw attention to his belief in an ancient election system called "sortition," a method of choosing political officials at random. Officials tell News 4 Rosenfeld had no criminal history but had told a reporter in Pennsylvania he planned to blow himself up on the National Mall around Election Day because he was angry about the country's direction. FBI agents pulled over Rosenfeld while he was driving on Tuesday, and he confessed to the plot, telling them he ordered black powder over the Internet and built a bomb in his basement. 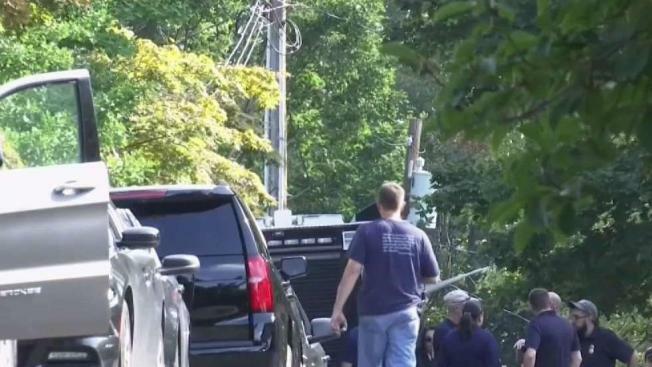 Authorities searching his home found eight pounds of black powder explosive meant to be used in a bomb that would ultimately weigh 200 pounds. Rosenfeld was charged in federal court with unlawful manufacture of a destruction device and interstate transportation and receipt of an explosive. "Had he been successful, Rosenfeld’s alleged plot could have claimed the lives of innocent bystanders and caused untold destruction," said FBI Assistant Director in Charge William Sweeney. The supervisor for the Rockland County town said in a statement that "there is no danger to the public." It was not immediately clear whether Rosenfeld had an attorney, the Associated Press reported.